LAHORE: The Lahore High Court (LHC) on Tuesday ordered the removal of Pakistan Muslim League-Nawaz (PML-N) President Shehbaz Sharif’s name from the Exit Control List (ECL). A two-member bench, led by Justice Malik Shahzad, announced the verdict. Earlier this month, Shehbaz had approached the LHC challenging the decision of the federal government to place his name on the no-fly list. The writ petition, filed through Advocate Azam Nazir Tarar, contended that the ban on Shehbaz’s international travel was in violation of his fundamental rights guaranteed under the constitution. 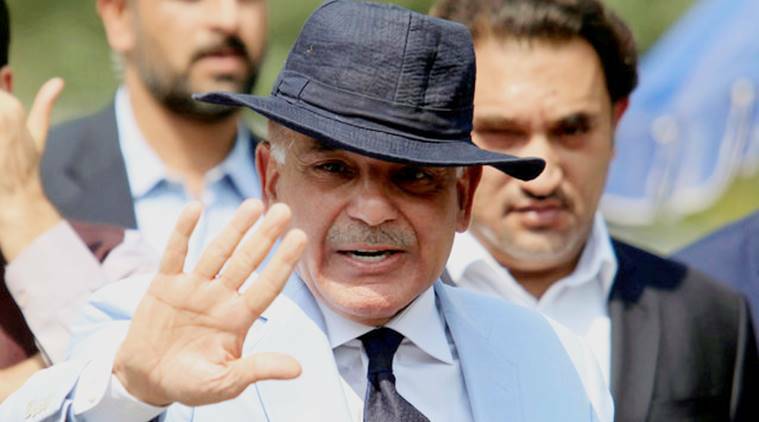 On Tuesday, the court asked National Accountability Bureau’s (NAB) counsel if any inquiry against Shehbaz pertaining to ownership of assets beyond known sources of income was ongoing. The counsel replied that an inquiry in this regard was launched on Oct 23, 2018. He added that suspicious transactions were detected from the bank account of the former Punjab chief minister. Shehbaz’s counsel argued that his client appears before NAB whenever he is summoned, yet his name is still on the no-fly list. He cited the example of Ayyan Ali’s case in which the court had ordered removal of her name from the ECL. He said that that the government put his client’s name on the no-fly list after a court of law had accepted his plea for bail. He added that NAB authorities were making a mockery [of laws]. He argued that Shehbaz Sharif used to go abroad and return during the inquiry and investigation. In October, last year, NAB had launched an investigation against Sharif to detect his “illegal” assets. According to reports, NAB Lahore had formed a team in this regard which had written to the Federal Board of Revenue to seek his tax record for the last 10 years and to different banks for account details, Lahore Development Authority and Capital Development Authority (for property in his name) and the excise department. “NAB has initiated this inquiry on reports that Shehbaz possesses assets beyond his known sources of income. During interrogation, when Shehbaz was quizzed about his assets’ details, he said his son Salman looked after the family business affairs,” according to a media report. The inquiry was launched when Shehbaz Sharif was already in the custody of the bureau in connection with the alleged Rs14 billion Ashiyana-i-Iqbal housing project scam. He is also facing investigation in the Saaf Pani Company scandal for allegedly awarding contracts in violation of rules. Last month, the federal cabinet had approved a summary for the placement of Shehbaz Sharif’s name on the ECL. The summary had been moved after NAB wrote a letter to the interior ministry seeking placement of the PML-N president’s name on the ECL.